In March, UMD students and alumni attended an advance screening of the new film, Chappaquiddick. Produced by university alumnus and member of ODK, Mark Ciardi, Chappaquiddick tells the story of Ted Kennedy and the tragic car accident that claimed the life of campaign strategist, Mary Jo Kopechne. The resultant scandal threatened to derail Kennedy’s political career and forever altered his political legacy. The events surrounding what happened at Chappaquiddick are examined anew in the thought-provoking film and is certain to spark conversation and debate. The screening at the University’s Hoff Theater was filled with students, faculty, staff, and alumni interested in the new movie and who wanted to hear directly from Ciardi. Ciardi, who has previewed his films on campus in the past, participated in a Q&A where he shared his thoughts on the movie-making process and how the film came together. UMD alumnus and ODKer, Mark Ciardi, meets with the ODK exec board following the advance screening of Chappaquiddick. Mark Ciardi participated in a Q&A following the screening of his new film, Chappquiddick. ODK Sigma Circle President, Jacob Veitch (left), was the host and moderator. Ciardi is an American film producer and former Major League Baseball pitcher. He is currently the Founder and CEO of Apex Entertainment. Prior to Apex, Ciardi was the co-founder of Mayhem Pictures that had an overall first-look deal with Walt Disney Studios for twelve years. At Mayhem, Ciardi produced films including The Rookie, Miracle, Invincible, The Game Plan, Secretariat, and Million Dollar Arm. Ciardi played for the University of Maryland baseball team and earned a Bachelor of Science degree in Business Administration here at Maryland. He was drafted in 1983 by the Milwaukee Brewers organization and was called up to the major leagues in 1987. He retired the following year due to an injury. This event was an exciting part of our ODK Leadership Lecture Series. At a ceremony held in the University Memorial Chapel, ODK Sigma Circle welcomed new members to the Sigma Circle. Members of ODK were asked what it means to be a part of ODK. Current and former student leaders share their thoughts here. Applications for membership are open through Friday, February 9th. Click here to apply today! The ODK Sigma Circle is pleased to announce our new Faculty Advisor, Dean Chang! Dr. Chang is the Associate Vice President for Innovation & Entrepreneurship at the University of Maryland. In that position, he leads the team at the Academy for Innovation and Entrepreneurship, which helps students and researchers cultivate an innovative and entrepreneurial spirit through design thinking, lean startup, and team-based experiential learning. Dr. Chang previously led the technology startup venture programs in the Clark School of Engineering and before that was CTO and VP Gaming Business of Immersion Corporation, a venture-backed, Stanford University robotics lab spinout. The Sigma Circle is excited to welcome Dr. Chang on board and we all look forward to working with him! Omicron Delta Kappa Sigma Circle is proud to announce the recipient of our 2018 Col. J. Logan Schutz ODK Leader of the Year Award: Jacob Veitch. Jacob began his time here at the University of Maryland as a Group Tour Coordinator for Maryland Images and has also taken up roles as the State Chairman and UMD President of the Maryland Federation of College Republicans. He has also served as an Honors Ambassador, Honors College Student Programming Council Liaison, and a member of the Mighty Sound of Maryland. He is currently a member of the Smith School’s Dean’s Student Advisory Council, Co-Chair of the Business Honors Program, and is a former Business Analyst for Consult Your Community. Jacob also serves as the ODK Sigma Circle President, a position he cites as the greatest privilege of his college career. As the recipient of the Col. J. Logan Schutz ODK Leader of the Year Award, Jacob will be presented with a plaque at the University Awards Banquet in May and a $1,000 cash prize. He will also represent the Sigma Circle as our nominee for ODK’s General Russell E. Dougherty National Leader of the Year Award. 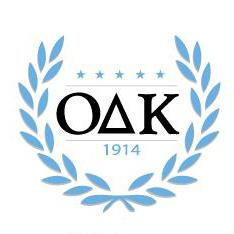 Apply now to be a part of ODK! The ODK Spring 2018 application is now available here. All applications must be submitted by 11:59pm on Friday, February 9th. Good luck! Omicron Delta Kappa encourages freshmen and sophomores to strengthen their leadership skills by recognizing their achievement on campus. Students are encouraged to apply for the ODK Top Ten Freshmen and Sophomore Leader of the Year Awards. Applications must be completed by Friday, February 16, 2018 at 11:59 PM. The selections process for ODK is closed. Tapping Week begins on Monday, October 2, 2017. Now’s your chance to apply to be a part of ODK! The ODK Fall 2017 application is now available here. All applications must be submitted by 11:59pm on Friday, September 15, 2017. Good luck! On Sunday, February 19, Maryland ODKers gathered to discuss applications and vote on leaders among leaders in College Park, MD. We were astounded to receive over 380 applications, which is among the most the Sigma Circle has gotten in its 90-year history! With that in mind, the Circle reviewed its peers’ applications and engaged in meaningful discussion about what it means to be a leader among leaders (while also enjoying some delicious Sbarro pizza). We discussed how each of our applicants embodied the leadership qualities represented by the five pillars of ODK — Scholarship; Athletics; Campus or Community Service; Journalism, Speech and Mass Media; and Creative and Performing Arts. After over five hours of deliberation, the votes were submitted, and members were permitted to see daylight once again. Tapping Week is February 27 – March 3. February 4, 2017: With eager minds and a Bruno Mars-filled playlist, six members of our Executive Board hopped in a van destined for the ODK Drive-In Leadership Conference at Virginia Commonwealth University. The conference brought together seven local chapters to discuss a wide range of leadership topics, including the integration of mindfulness and self-care in all of our endeavors. As mindfulness in this capacity is generally a new topic, our executive team was not sure to expect confusion or intrigue. Safe to say, our day was filled with much of the latter. Dr. Christopher Reina, a professor with the VCU School of Business, kicked off the program with an unexpected moment of meditation. Attendees were instructed to bring attention to the current room, sounds, and sensations: in essence, existence in the present moment. According to Dr. Reina, leading with a mindful attitude can create an atmosphere of productivity and togetherness. He commented that as leaders, our minds often race with a flurry of thoughts; becoming mentally centered directs our goals during collaboration. After grounding ourselves via Dr. Reina’s message, we explored the significance of resilient and positive leaders. Our discussion with the other chapters on this topic soon morphed into conversations about how we work to build our communities as ODKers. We learned that amid differing campus traditions and cultures, we all are united by the commonality of wanting to benefit as many interests as we can. As a result, we now feel powerfully equipped with a new set of tangible skills to apply to our daily leadership roles. And one last thing on behalf of the entire Executive Board – no matter where today takes you, we encourage you to be kind to yourself: take a few mindful minutes to reflect, rejuvenate, and recharge! Over the years, our outstanding alumni have taken prominent leadership roles in their communities. Consider donating today to support the programs, scholarships and lectures that help continue the excellence of ODK leadership on campus. We took photos of each stone of the ODK Fountain and organized the photos by initiation year. Members: Find the engraving of your name here! 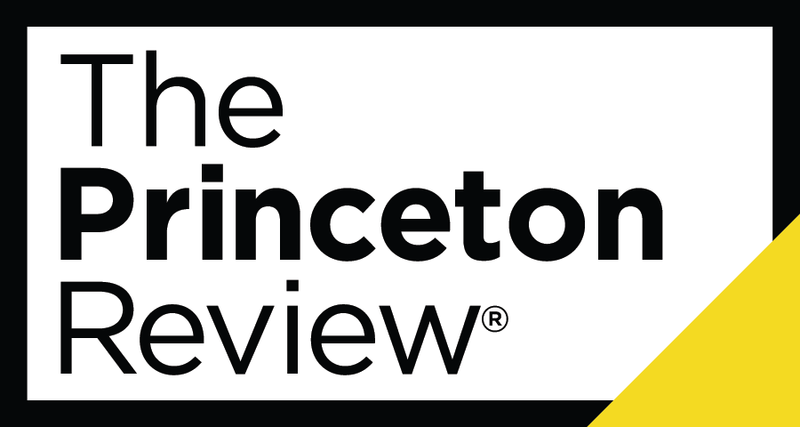 Omicron Delta Kappa Sigma Circle wishes to express our thanks to Princeton Review for their generous support of the ODK Spring 2018 Induction Ceremony and Reception.